New York City’s music scene is pretty expansive and features all sorts of sounds and genres, but for those afternoons or nights when you want to enjoy the classics, we’ve got you covered. Here, we narrow down New York City‘s musical choices and find the best spots for live classical music. Home to some of the most famous musical and performing arts events in New York, Lincoln Center offers one of the city’s best and most inspiring programs of classical music performances. From full, world-class orchestras such as the New York Philharmonic to piano concertos and string quartets, Lincoln Center is the go-to for live classical music. 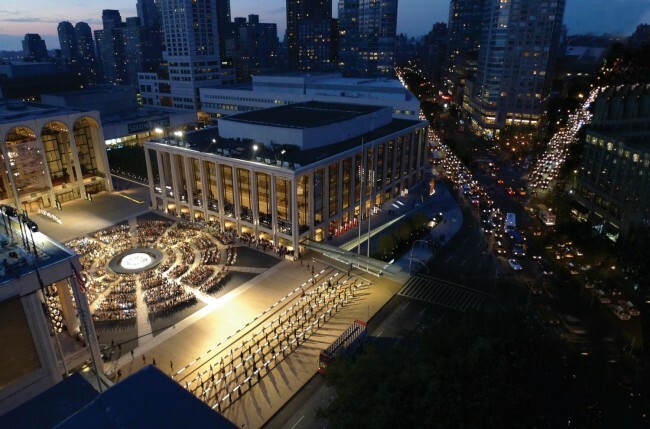 Click here for a full calendar of upcoming events at Lincoln Center. 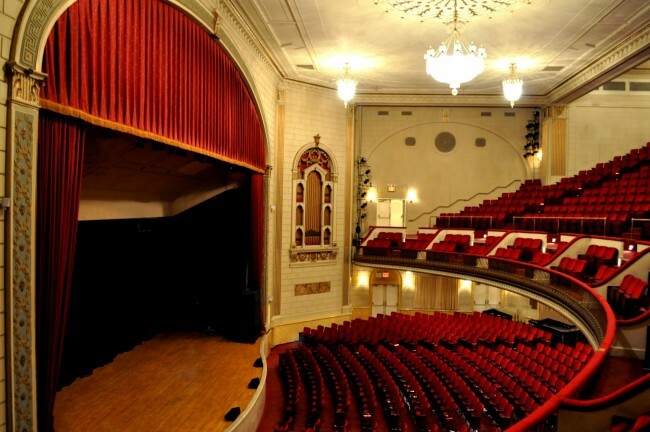 Located on the picturesque Columbia University campus in partnership with Columbia University School of the Arts, Miller Theater produces and presents ‘unique events with a focus on contemporary and early music, jazz, opera, and multimedia performances.’ The theater’s mission is to cultivate a genuine musical interest in the next generation and to educate audience members through a unique program of live performances. Visit their website for a full schedule of upcoming classical music events. 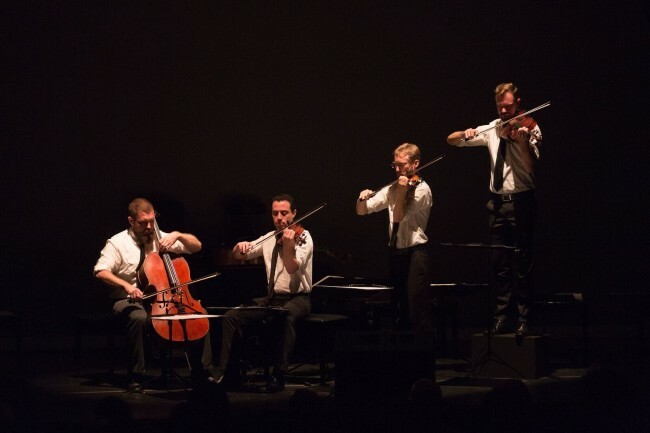 Classified as a multi-disciplinary performance organization, Symphony Space presents a consistently excellent program of classical music performances at its Upper West Side location. From symphonies to concertos to experimental student-led events and operatic performances, Symphony Space provides a comprehensive schedule of live classical music. Live classical music at The Town Hall is a must. This 1500-seat venue is a national historic landmark and was founded by suffragist group The League For Political Education in 1921. This unique theater was designed to reflect the group’s ideals, so there are no ‘bad seats’ in the house. Check out their events calendar to see classical music performances in a historic and cultural NYC setting. Kaufman Music Center houses the Lucy Moses School, the Special Music School, and the Merkin Concert Hall. Here, classical music is one of the most representative genres offered, from smaller ensembles to the New York Philharmonic and chamber music events. Every Tuesday, they also offer special matinees. 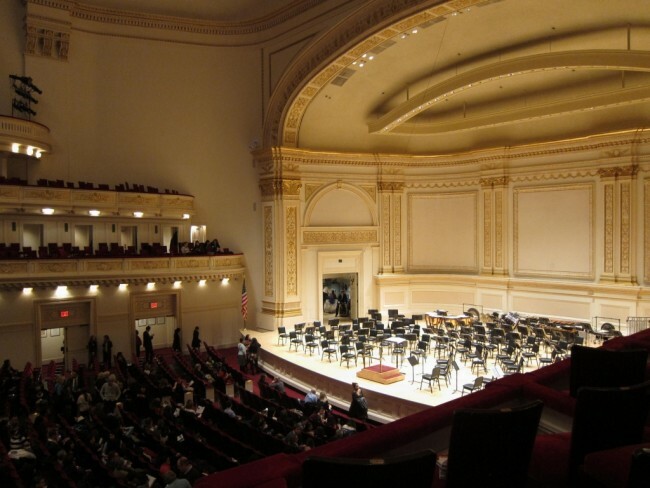 With three performance stages, Carnegie Hall gives audiences the opportunity to listen to live music from the Stern Auditorium, Perelman Stage, and the Weill Recital Hall. This season, the Bruckner Symphony Cycle will host a series of programs throughout 2016 and 2017. Brooklyn Academy of Music (BAM) is one of Brooklyn’s most cultured and celebrated institutions, with over 150 years of history and music in New York City under its belt. They offer a wide variety of musical events, so be sure to look through their calendar for tickets to the best performances NYC has to offer. Founded in 1897, the Brooklyn-Queens Conservatory of Music serves more than 15,000 students and residents. Their students often present recitals, and special guests make frequent appearances on their stage. The Brooklyn-Queens Conservatory of Music also has an in-house chorus, the Conservatory Chorale, which explores a rich variety of musical styles. Kupferberg Center for the Arts is located on the Queens College campus, offering a season of live classical, jazz, and pop performances alongside special lectures, cultural performances, and programming for families. Click here for tickets to their upcoming musical events.